ALICK Macheso has described his triumph at the inaugural Star FM Awards ceremony held last weekend at Zimbali Gardens as a reflection of the people’s wishes. 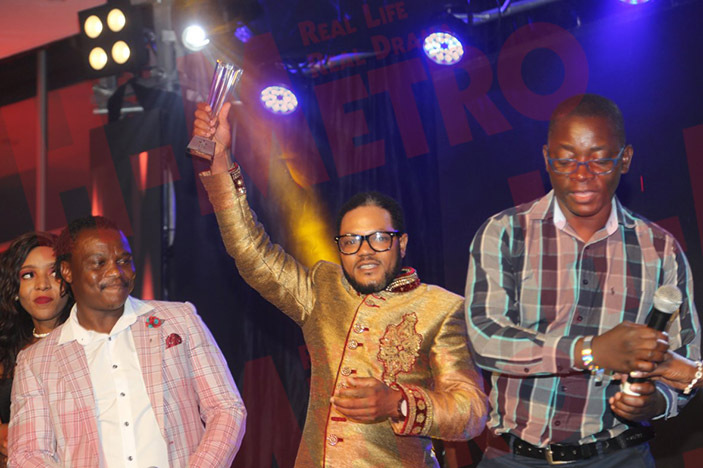 The sungura ace’s track Chikuru Kurarama off his 11th album Dzinosvitsa Kure, was voted Best Sungura song. Although Macheso was also drawn with other talented artistes in the same category like baba Harare, he triumphed and immediately thanked fans and event organisers. “It’s a reflection of what people expected from us and we owe it to God,” said the Orchestra Mberikwazvo boss through his publicist Tichaona Makahamadze. “To be honest, we were not expecting this victory and on the night of the awards, we were not sure if we were going to win it. “Now that we have won it, it means a lot for us as a group. “We are going to build on that momentum and we are also going to celebrate it with fans. “As you know, Star FM is the biggest commercial radio station in the land and this is an honour that we are going to cherish for years to come. Makahamadze urged losing finalists to keep the faith and continue working hard. “Losing at an awards ceremony does not mean that artistes X or B is not talented. “A nomination on its own is enough; fellow artistes ought to take pride in that alone. “In our case, we always accept the outcome of results because we know how it is winning and being nominated,” he added. Meanwhile, Macheso is set to celebrate his triumph with a number of shows lined-up for next weekend both in the capital and remote areas. He is billed to perform at Dot.Com Gardens in Chinhoyi on Friday before holding another show at Tringindi Gardens in Mt Darwin. Macheso has never put a foot wrong at this particular venue which he has adopted as his second home.